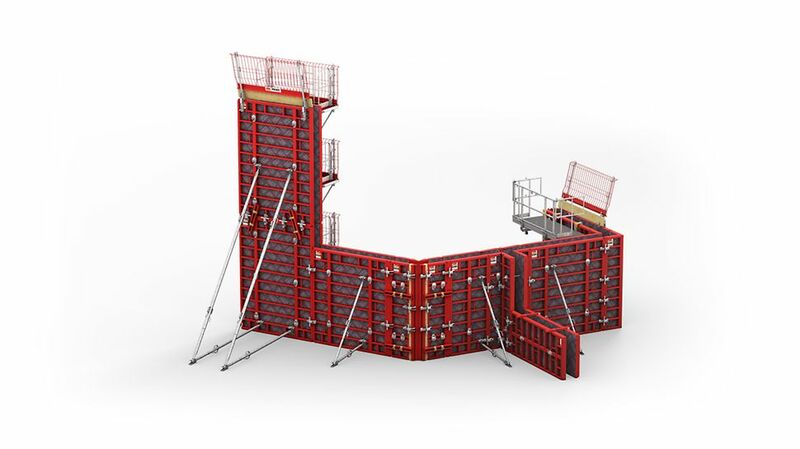 Developed by PERI, the MX tie technology with one-sided tie installation greatly accelerates formworking operations. 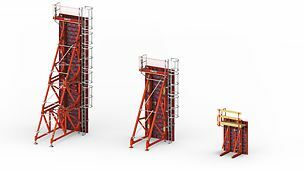 At the same time, MAXIMO is significantly faster than conventional panel formwork despite the lower site personnel requirements. Due to the innovative tie technology and optimized number of tie points, working time values for the system are verifiably up to 50% less. In addition, the centrally-arranged tie points result in a regular joint and tie pattern both horizontally and vertically. 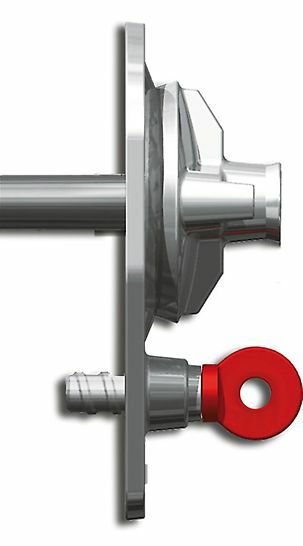 Closing of unused anchor positions is not required as each tie point is normally used. 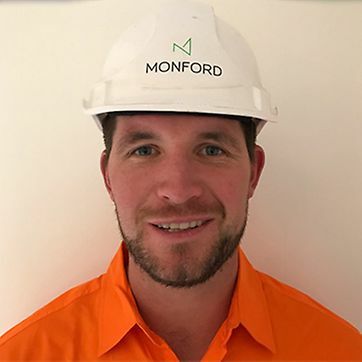 The reference working time values lie between 0.15 h/m² and 0.38 h/m² – this means up to 50 % less working time as required for conventional panel formwork. MAXIMO Panels as well as internal corners and shaft elements are available with heights of 3.00 m and 3.60 m, too. These additional panel heights are available on request and guarantee additional time savings for larger floor heights, for example, in high-quality residential construction or even for underground garages. 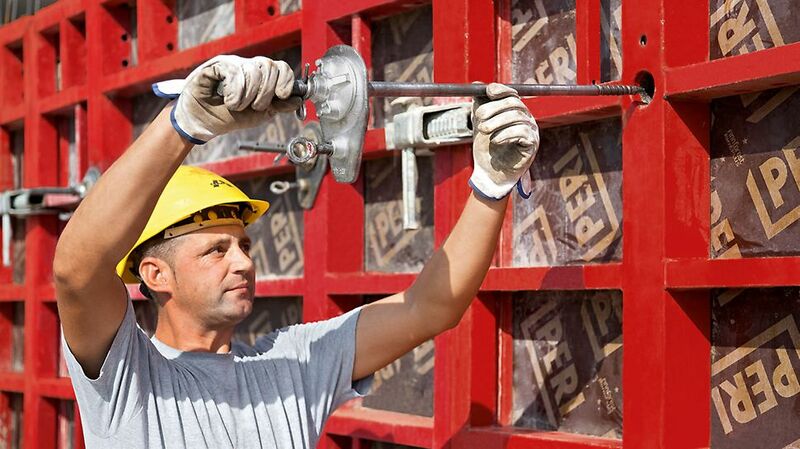 The 3.00 m high panels only require 2 anchors which ensures further savings of time. 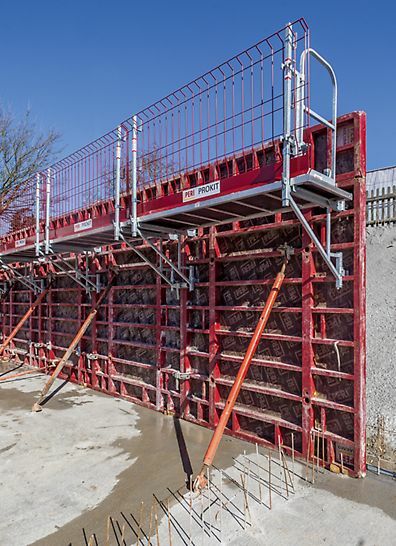 The MX 18 Anchor System is used for wall thicknesses of up to 60 cm. Especially for markets with colder climates, e.g. 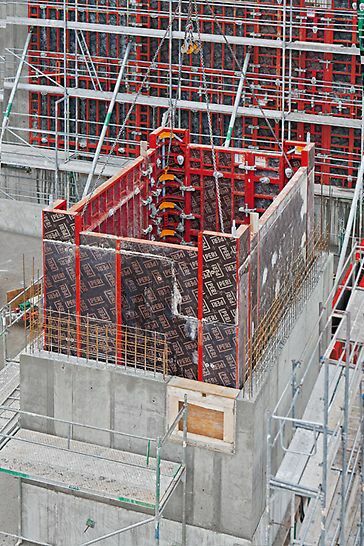 Scandinavia, PERI has developed the heatable MAXIMO MXH formwork. 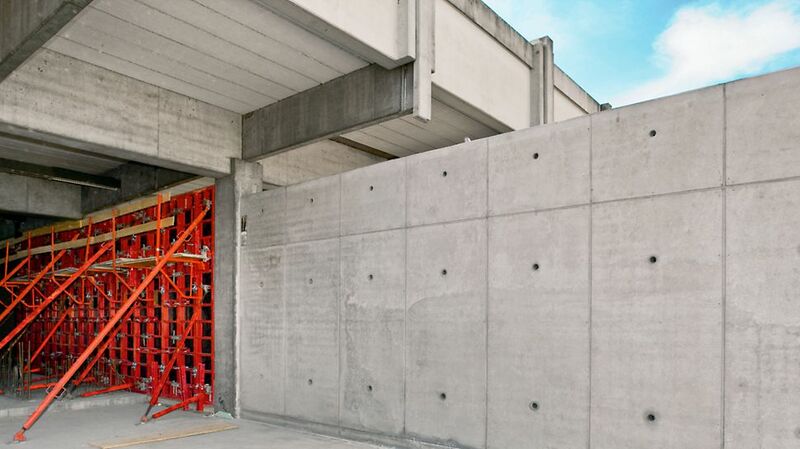 The new PERI solution allows use in both summer and winter with only one formwork system. 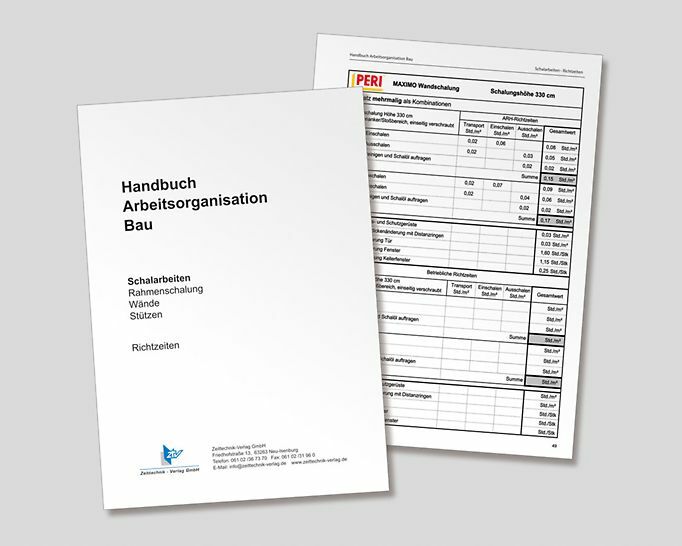 For using the new system, the MAXIMO Panels is very simply fitted with heating elements. 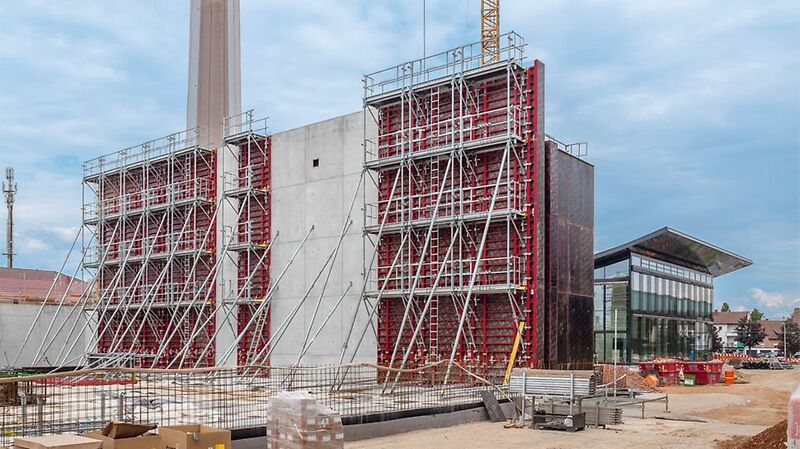 Assembly of the panel formwork and heating elements is carried out horizontally; only 2 mounting bolts are required on the 4 frame corners each time. 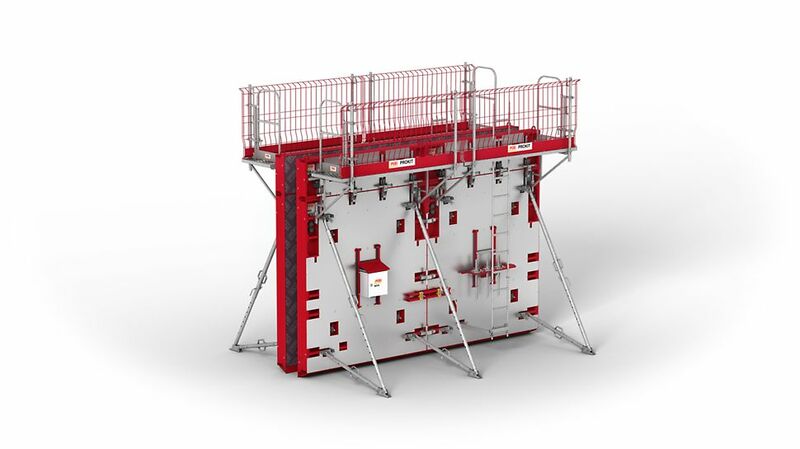 The standard height of the heating elements is 2.70 m with standard widths of 2.40 m and 1.20 m. Corresponding extension elements and practical details such as suitable box outs for the BFD Couplers as well as for connecting the bracket system ensure efficient application of the MXH heatable formwork. 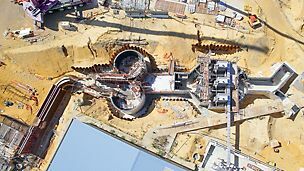 The MX Shaft Corner allows complete sets of shaft formwork to be moved quickly. 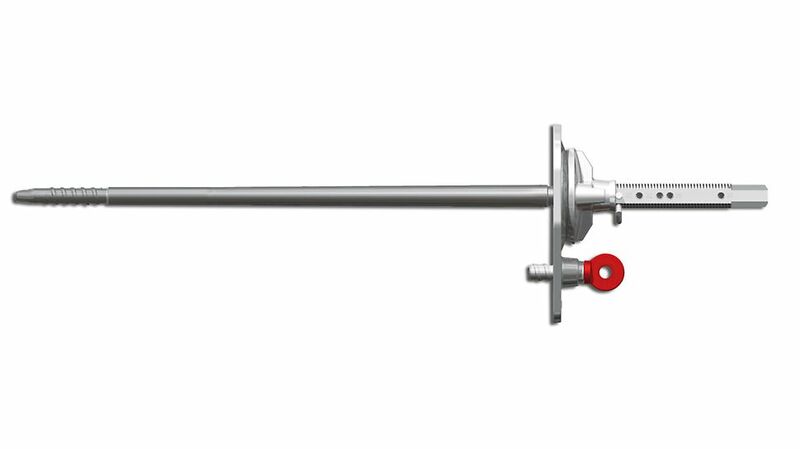 Attaching and releasing is easily done from a safe position on the working level. PERI, as a system, in my opinion, was the best option for this project. From the product itself through to the drawing design, sales team and competitive rates, they were a pleasure to work with. 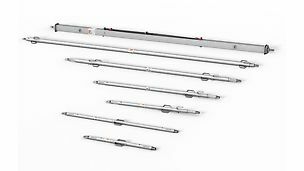 The proprietary SK tie system along with the decreased number of tie points on the Maximo form system meant there was less potential for leaks and thus limiting Monford Groups liability for reworks. All different PERI systems used on the project works effortlessly together reducing the need for conventional make-up pieces and it was easy to switch from one system to the other. The RUNDFLEX system makes curves consistent and without imperfections. I would highly recommend the entire PERI range of products as being user-friendly, quick to assemble and value for money and will continue to use PERI for future projects.